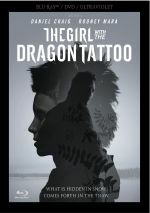 Back in 2011, Stieg Larsson’s literary franchise leapt to American screens via The Girl With the Dragon Tattoo. Despite lots of hype and solid talent behind it, the movie didn’t sizzle at the box office. Oh, it did reasonable business, but it struggled to get past the $100 million mark in the US, a figure that presumably disappointed the studio. Tattoo came with high expectations, and the film’s lackluster performance put the franchise on ice. Seven years later, we got a sequel via 2018’s The Girl In the Spider’s Web. With a stunningly low $14 million gross in the US, I suspect we’ve seen our last film in the franchise – at least until/unless we get a formal reboot a decade down the road. Computer genius Frans Balder (Stephen Merchant) creates a program for the NSA that would allow its user to access any nation’s nuclear codes. Balder comes to believe “Firefall” places too much power in its user’s hands, so he hires expert hacker Lisabeth Salander (Claire Foy) to steal it back from the NSA. Lisbeth does so, and this alerts NSA security expert Ed Needham (Lakeith Stanfield) to her activity. Lisbeth attempts to elude Needham and pursue a separate group that snags Firefall from her, all while she evades deadly threats. Did you ever watch a movie, get about halfway through and think to yourself "I have no idea what this film is about?" That was me at my screening of Web. Oh, not that I genuinely didn't get the "plot". I understood that Web revolves around various parties' desire to possess the powerful computer program. However, that doesn't act as a particularly engaging story. The "Firefall" program exists as the literal definition of a MacGuffin, as it's there to motivate action but it's essentially meaningless otherwise. And if some real action/tension resulted, I wouldn't care that the plot seems so flimsy. However, Web borders on "deadly dull” territory. Web starts pretty well, as the scene in which Lisbeth plies her "avenging angel" trade entertains. Granted, I already knew it from the trailer, but it's still a nice introduction to the character. After that, matters go nowhere, and that seems bizarre given the stakes involved. "Firefall" could literally destroy the world, so it seems crucial it stays out of the hands of the baddies who pursue it. As played out, however, the movie generates little to no action or excitement. Lisbeth chases people and people chase Lisbeth - dub "Yakety Sax" over the material and you'd get a more violent episode of The Benny Hill Show. I can't overemphasize how dull Web becomes, as even its action scenes lack life. We maintain little investment in the thinly-drawn characters, and the big reveal toward the end seems both predictable and eye-rolling. Foy does a decent job as Lisbeth, but the movie oddly leaves her Dragon Tattoo partner Mikael Blomqvist (Sverrir Gudnason) as a tertiary character. Maybe that's how he plays in the book, but given his past with Lisbeth - and his prominence in Tattoo - it feels odd to see him on the sidelines so much of the time. Count me as disappointed. I didn't love David Fincher's Tattoo but it worked reasonably well, whereas Web is just a dull drag. I counted the minutes until it finally ended and I could move on with my life. The Girl In the Spider’s Web appears in an aspect ratio of approximately 2.39:1 on this Blu-ray Disc. I thought the Blu-ray provided consistently satisfying visuals. Colors stayed fairly subdued for the most part. The frigid settings didn’t favor a dynamic palette, but the hues looked reasonably accurate and full, with a not-unexpected emphasis on teal and some orange. As for the DTS-HD MA 5.1 soundtrack of Web, it worked pretty well. While the soundfield didn’t go nuts throughout the whole movie, it kicked into action well when it mattered. During quieter scenes, the mix boasted good environmental material, and more active sequences delivered fine immersion and punch. The latter provided the muscle that we expected and used the five speakers in an involving manner. Overall, audio quality appeared good. Speech came across as distinct and well represented. Music presented good dynamics via the score; the music was tight and full. Effects came across as accurate and firm, with clean highs and deep bass. The soundtrack fell short of greatness, but it mostly served the film well. We get a decent array of extras here, and we open with an audio commentary from director Fede Alvarez and screenwriter Jay Basu. Both sit together for this running, screen-specific look at the source and its adaptation, story/characters, cast and performances, sets and locations, music, effects, stunts and action, photography and connected domains. Expect a pretty good commentary here, albeit not one that stands out as great in any way. We get a fairly efficient look at the film, though, so this turns into a largely informative chat. Eight Deleted Scenes fill a total of 15 minutes, 36 seconds. Some of these focus on secondary characters – especially Blomqvist - but we get some more substantial moments as well. For instance, two of the eight scenes focus on Lisbeth’s disguised undercover espionage, and these work pretty well. In general, the cut footage seems surprisingly strong. We can watch the scenes with or without commentary from Alvarez and Basu. They tell us about the segments as well as why the clips failed to make the final film. They offer some fruitful information. Four featurettes follow, and Becoming Lisbeth runs nine minutes, 50 seconds. It includes comments from Alvarez, producer Elizabeth Cantillon, director of photography Pedro Luque Briozzo, costume designer Carlos Rosario, stunt coordinator Florian Hotz, and actors Claire Foy, Sverrir Gudnason, and Sylvia Hoeks. As implied by the title, this show looks at the lead character and Foy’s performance. “Becoming” mixes good notes with the usual praise but it usually sticks with useful content. With All About the Stunts, we get a six-minute, 40-second reel with Alvarez, Hotz, Foy, Hoeks, Cantillon, and VFX supervisor Thilo Ewers. Unsurprisingly, this featurette examines the movie’s action. It offers another mix of insights and happy talk. Creating the World goes for 15 minutes, 59 seconds and features Alvarez, Foy, Hoeks, Gudnason, Cantillon, Briozzo, Rosario, production designer Eve Stewart, makeup/hair designer Heike Merker, composer Roque Banos and location manager Klaus Grosse Darrelmann. “World” covers the source and its adaptation, Alvarez’s approach to the film, cinematography, sets and locations, hair, makeup and costumes, and music. We get a decent overview of various production domains. Finally, Secrets of the Salander Sisters lasts four minutes, 56 seconds and brings info from Alvarez, Foy, Hoeks, Cantillon. “Sisters” discusses the relationship between Lisbeth and Camilla as well as the actors’ performances. It lacks a lot of depth, though it throws out a few productive notes. The disc opens with ads for White Boy Ricky, Escape Room, Searching, Venom, The Front Runner and The Wife. No trailer for Web appears here. After seven years, Lisbeth Salander returned to US screens with a thud. 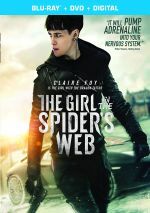 The Girl in the Spider’s Web provides a sluggish, not especially coherent thriller with little to maintain the viewer’s attention. The Blu-ray brings very good picture and audio as well as a fairly positive collection of bonus materials. Web becomes a feeble genre effort.